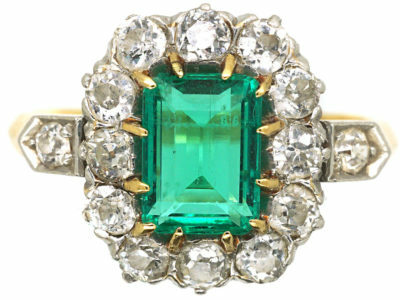 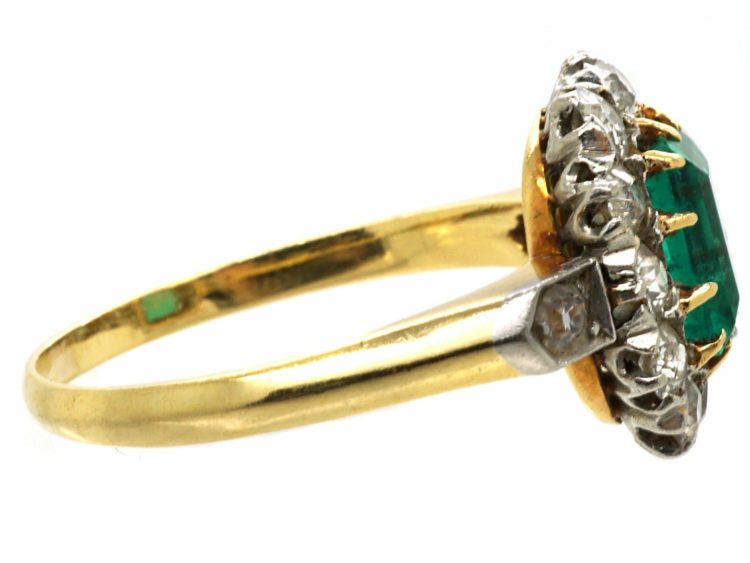 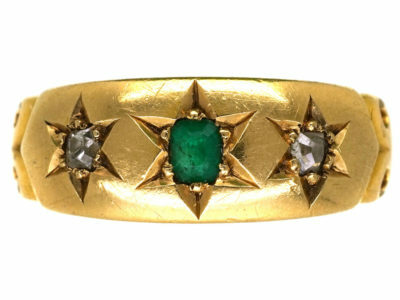 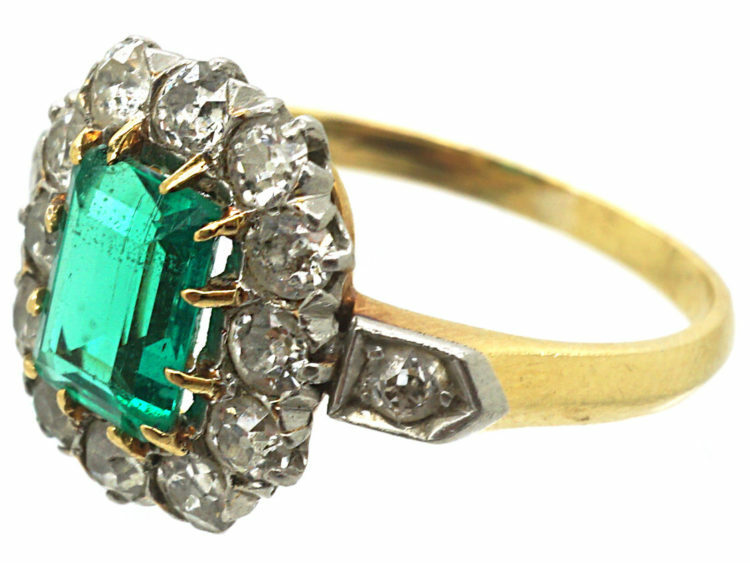 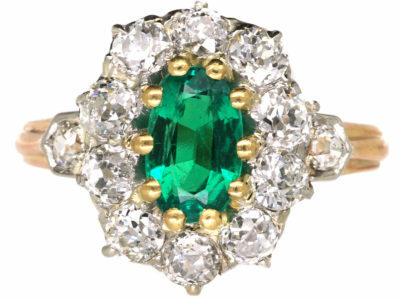 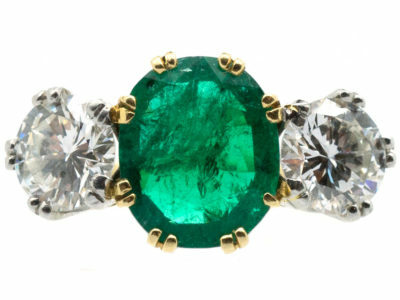 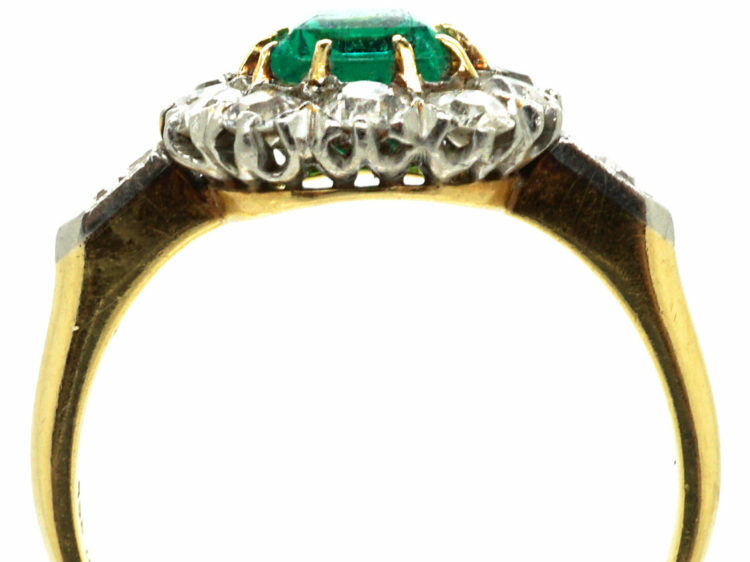 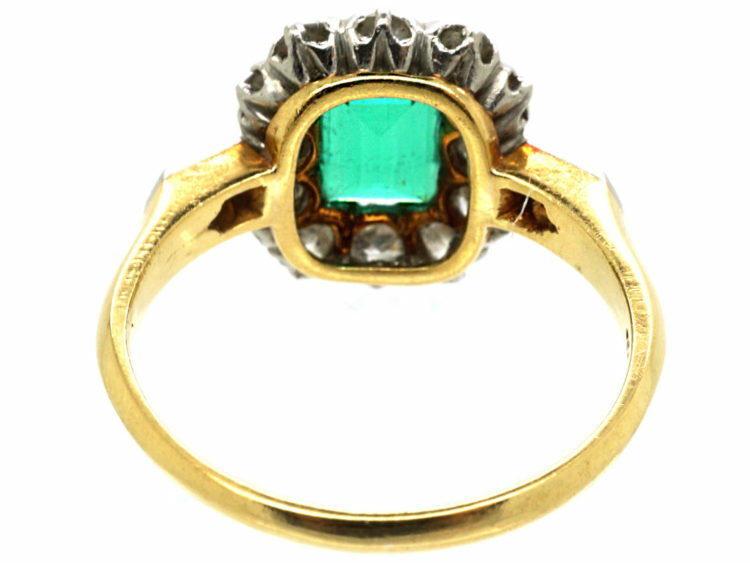 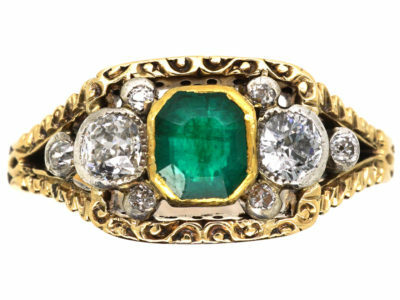 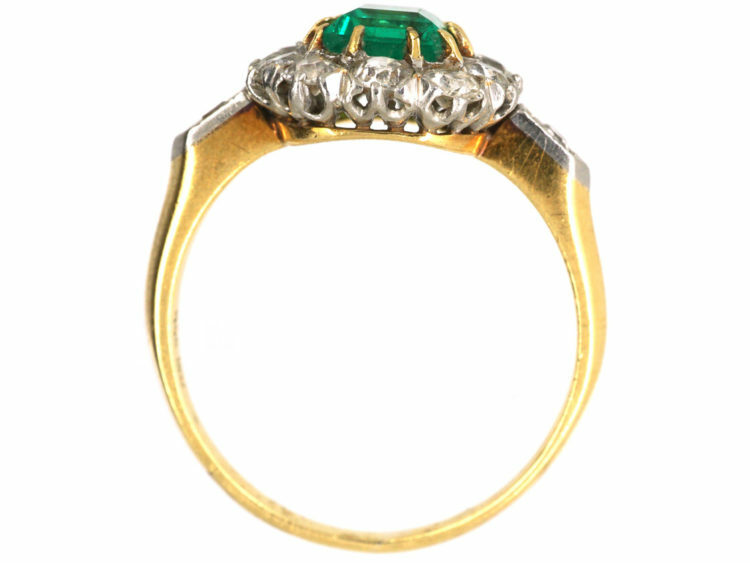 A beautiful 18ct gold ring set with a rectangular Columbian emerald. 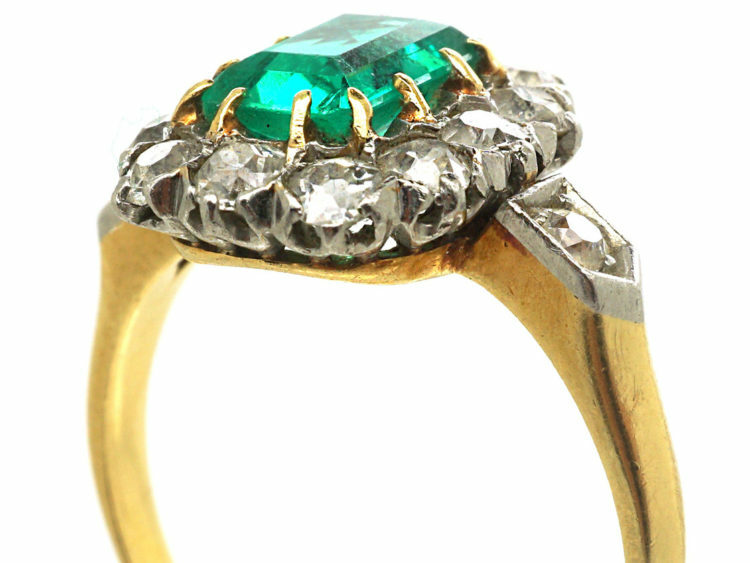 The emerald is a good clear stone and comes with a certificate. 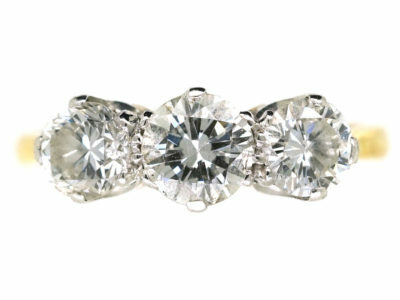 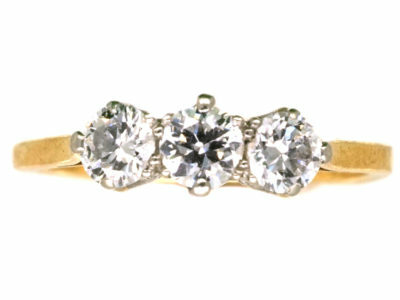 It is surrounded by well matched white diamonds and has a diamond in each shoulder. 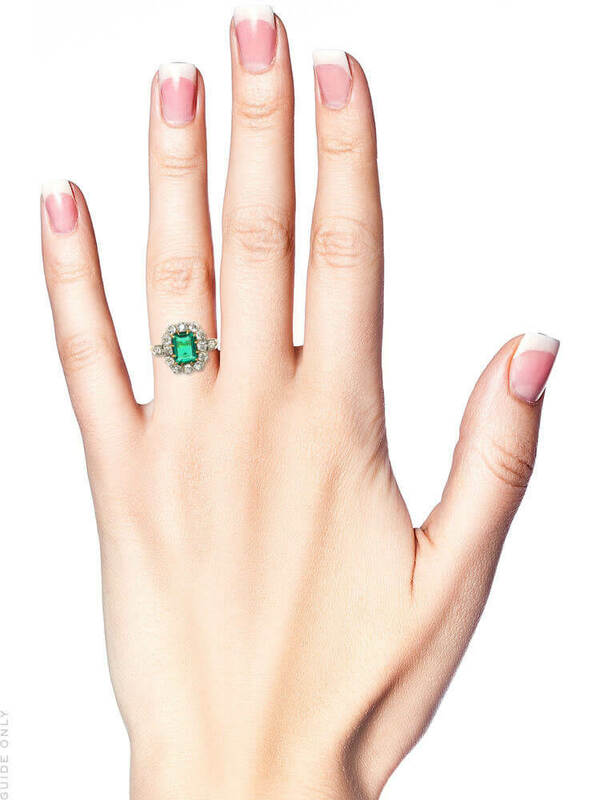 It sits low on the finger in a classic style. 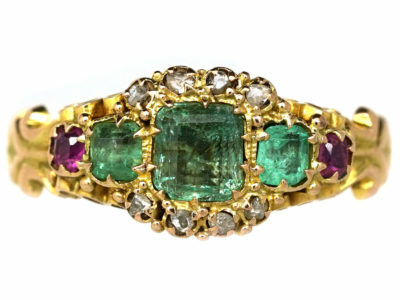 It was made circa 1900-1920 in Austria. 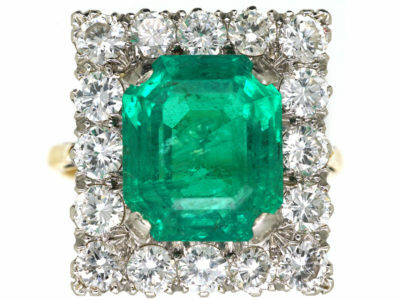 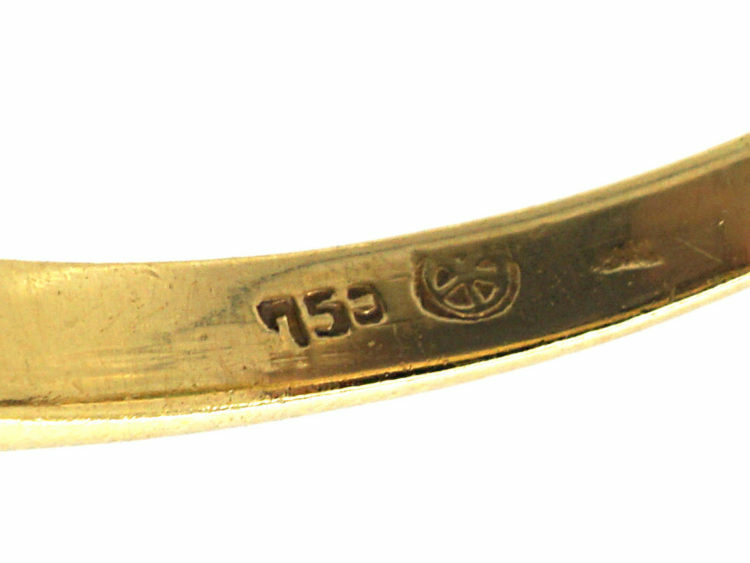 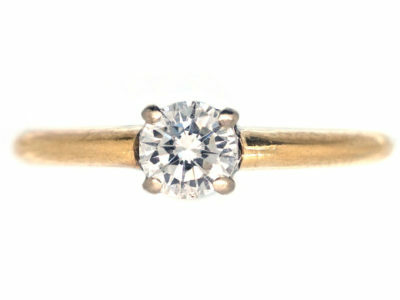 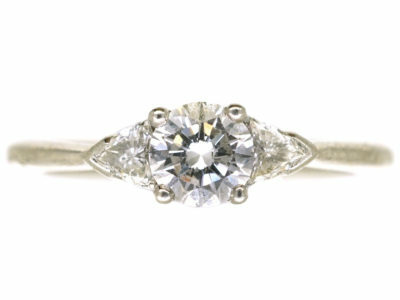 It would be ideal as a dress ring or a lovely engagement ring.